Enjoy $20 Voucher for $10 - Valid at either Favorites Pizza location (3034 Sweet Home Road, Amherst) or (781 Cayuga Street, Lewiston NY). The extensive menu includes their famous award winning pizza, of course, but so much more. 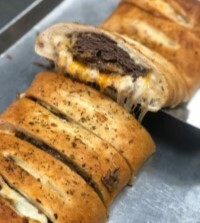 Try Favorite’s sensational Honey-Garlic Chicken with Bacon Pizza, or their tempting Steak and Cheese Pizza, or just go in and get some pepperoni slices, always fresh and ready to go! Favorite’s also has the juiciest wings around with several sauces to choose, from Hot, Medium, and Mild to Jamaican Jerk and Asian Sesame. They have over 50 different submarine sandwiches, as well as a variety of salads, finger foods, and desserts. Go in and discover your favorite! 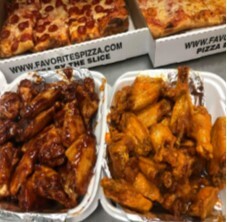 Favorite’s has award-winning pizza, enough submarine sandwiches to tempt any taste bud, and the crispiest, juiciest chicken wings in the land. 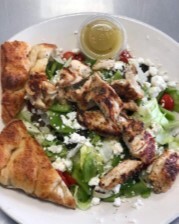 Check out the mouth-watering salads, old country calzones, giant Stromboli’s, and absolutely decadent fried cheesecake. 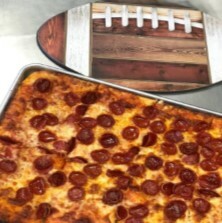 We will serve our patrons with sincere hospitality and earn the reputation as being everyone’s “Favorite” neighborhood pizzeria! 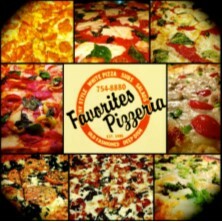 •Since 1986, our goal here at Favorites Pizzeria has been to provide superior food while delivering outstanding service. 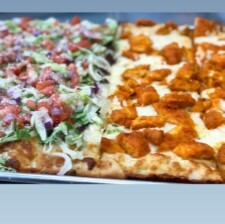 •The New York Style pizza is one of the best! •The honey garlic chicken and bacon pizza is amazing!